Many Iowans got a rude awakening early this morning as their smart phones alerted them to a just-issued Blizzard Warning. At just a few minutes before 4 AM, many thousands of us heard a shrill alarm coming from our iPhones and Androids. 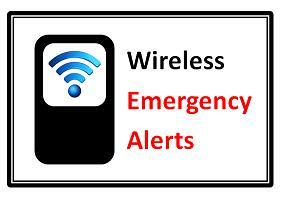 It was the first use of the Wireless Emergency Alert, or WEA. A text message came with the sound, telling of the approaching snowstorm. Jeff Johnson, warning coordination meteorologist at the National Weather Service office in metro Des Moines, says the alert jolted him out of bed like everybody else. He hopes people will think twice before disabling the alert system on their phones. The object of the program isn’t to rob us of our beauty sleep, but to keep us safe, which may mean the occasional late night or early morning alert. While he didn’t appreciate being awakened by the blaring tones, Johnson says he’s elated the system works as it was designed. He notes, the app sent the tones only to people who were in the area under the Blizzard Warning. Iowans who were out of state, for example, didn’t get buzzed, while visitors who happened to be in the region and who have smart phones will likely be looking a little sleepy.